This photo was taken on August 14, 2015 at 2:45 PM. This photo was taken in the vast marble floor of a very large hotel in National Harbor Maryland. The "Take It!" came from one of my marble meandering hunts, as I like to call them, when I take a few minutes out of my busy routine to slowly walk around when in a marble covered area, be it floor or walls, or even counters. This one happened to reveal itself in one of the largest such opportunities as I go through my day. There has to be well over two acres of marble flooring. Thus lots of markings and streaks to look at to see if there might be a likeness to anything I can bring to mind. The After Take: Everyone that I showed this one to, had little difficulty in seeing the impish head I envisioned. All seem to enjoy the game I play in hunting these figures down. I even had one hotel employee after showing him this image, several weeks later, took me to a back stairs landing leading to the lobby of his hotel and showed me a rabbit that he had found in a marble step. I congratulated him and we laughed together in this childlike game of exercising one's imagination - for which there is no age limit. The discovery of a marble marvel is a joy and the sharing of this discovery with another is yet another even bigger joy. Wishing each of you a splendid day. 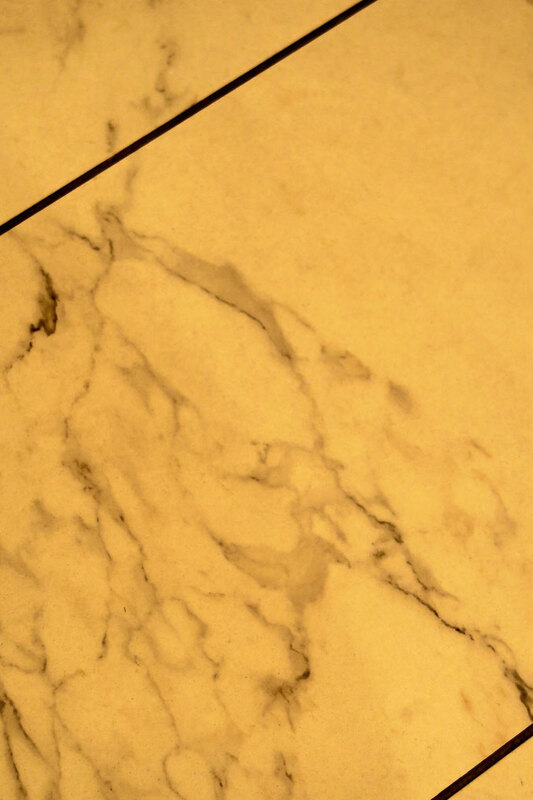 PS: I cannot help but believe there is a marble marvel out there, where you are, waiting for you to discover it. Hey I see it! That is soooooo cool!!! It reminds me of a goblin out of those Hobbit movies. I was going to say exactly what my husband just posted. It really does, with the long nose and pointy ears. How fun is that, what a great catch. I showed this to some students and they had a blast with it. It just seemed so fitting to show since we are reading a book that has a creature that has similar features. At least he does in how I have imagined him looking. Ha Ha! Looks like the Green Goblin from Spider-man.